New Year! New start! New job! 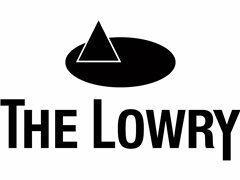 We are The Lowry, a world-class arts venue located in the heart of MediaCityUK, Salford. We are passionate about providing a warm welcome, memorable experience and brilliant customer service. Come along to our Recruitment Open Day for an opportunity to meet our Catering and Events Team and have the chance to join our bars, coffee shop, restaurant and event teams! As a Casual Hospitality Assistant you would play a key role in the overall experience of our guests therefore experience in the industry would be great, but above all we want people with big personalities and big smiles. Unfortunately due to the laws relating to the sale of alcohol, all our Casual Hospitality Assistants must be aged over 18.